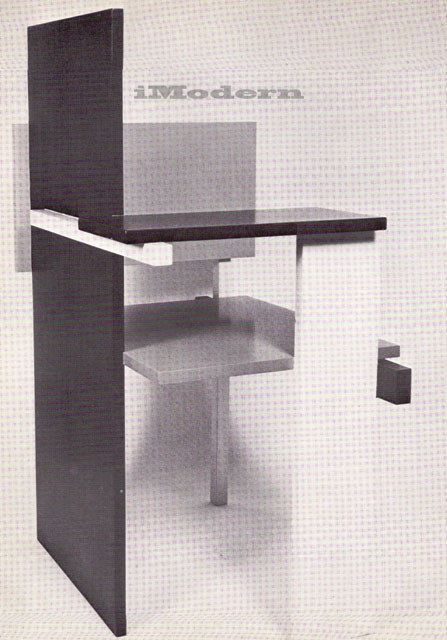 In 1923 Rietveld and the De Stijl painter, Huszar, designed a model room for an exhibition in Berlin, Huszar planning the colour and Rietveld the furniture and layout. The Berlin chair was designed for this exhibit. 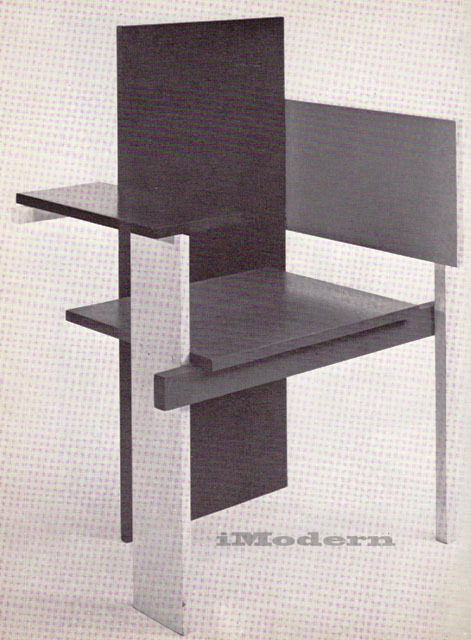 Rietveld has sacrificed anatomical considerations in order to produce what is virtually a De Stijl sculpture in an unlimited edition,with all the characteristic juxtaposition of planes in space and subtle differentiation of parts using various greys. It is strongly reminiscent of Mondrian's earlier paintings. The Berlin chair is unlike the Red-Blue both in its asymmetry and the predominance of planes rather than lines. Structurally, all the parts add rigidity to each other, rendering the simple lapped joins perfectly strong.